i spend a ridiculous amount of time in my laundry room. seriously. it occupies more quality time with me than anyone or anything else in my life. sad but true. 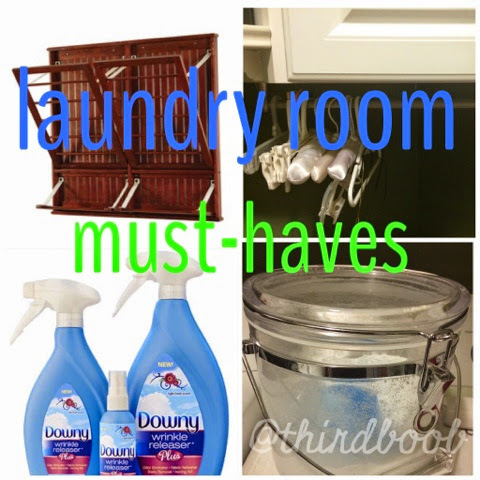 as a part of our "monthly must haves," we couldn't neglect our favorite items to keep our laundry room happy. 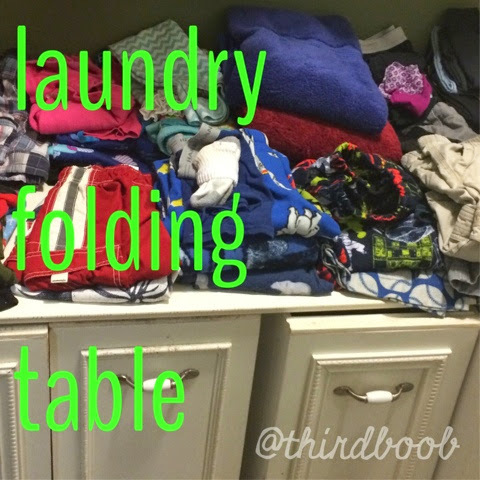 1. laundry folding table: my dad and i bond over projects. on one of his trips to visit me, we made this amazing laundry table to fit perfectly in my laundry room. (we also made custom rolling drawers to house dirty laundry...amazing). it has become my favorite part of my laundry room. i can divide up clothes for seven people into their own piles and then carry them upstairs organized. 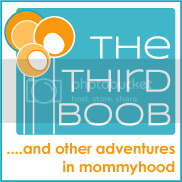 i truly don't know how i lived without it. 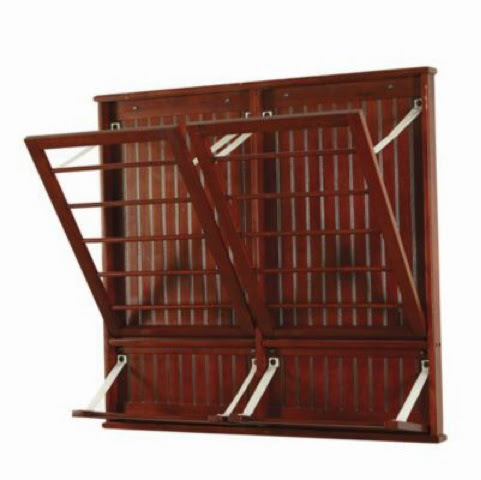 2. beadboard drying rack: this is an item i purchased a few years ago and it was worth every penny. when not in use it sits flush against the wall and occupies no space at all. 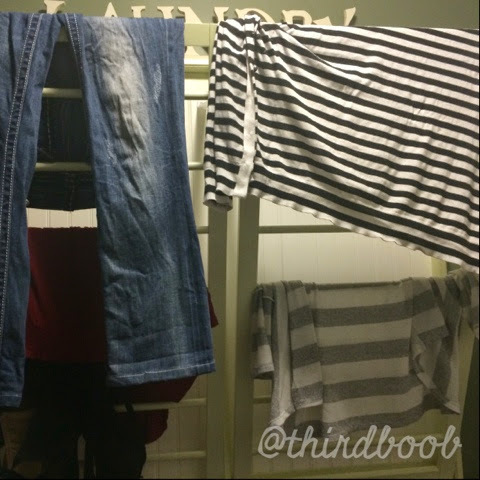 when you have things to dry, they are drying in an organized, out-of-the-way fashion. i love it. 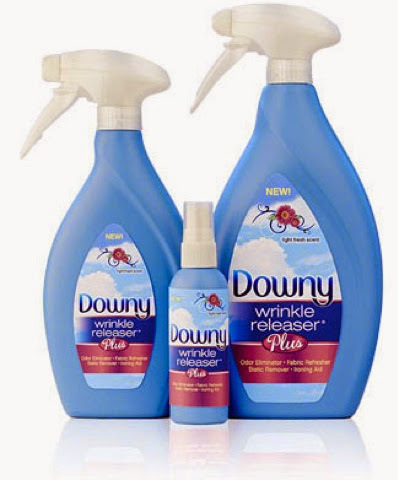 3. downy wrinkle releaser: this product has cut my ironing time to almost nothing. i don't know about you but i hate ironing kids clothes. they play so hard and get wrinkled so fast that i don't feel like it is worth my while. i also don't like my kids to look like they just rolled out of bed. this is the perfect solution. if something is wrinkled, i can spray, hang, and it is good to go. ironing problem solved. 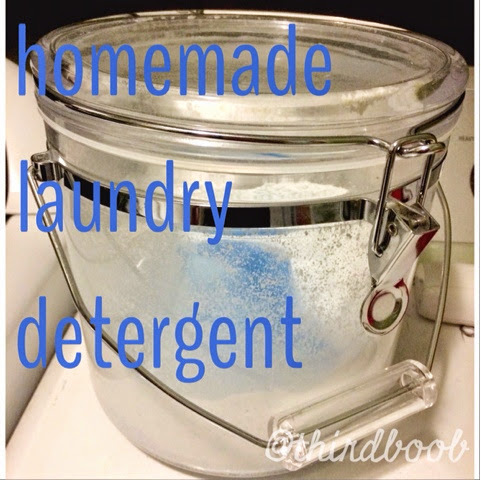 4. homemade laundry detergent: i do so much laundry. so, so very much. i was spending a fortune in laundry detergent but have since started making my own. i love it. it smells fantastic, is much more affordable and my clothes are getting clean. i'm one happy mama! 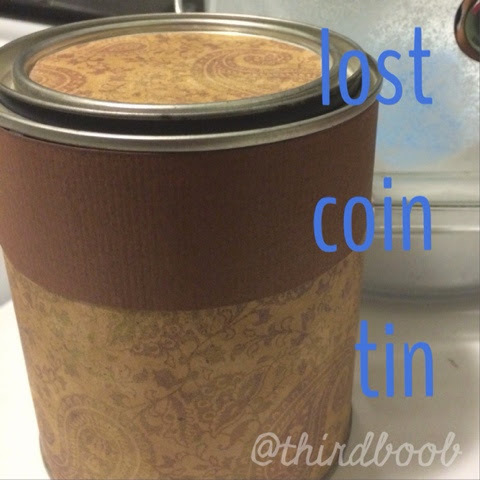 5. lost coin jar: growing up my mom had a rule. if money was left in a pocket to be washed, the laundry fairies got to keep it. that rule has become the rule at my own home too and i have more loose change than i know what to do with. a friend of mine gave me a decorated tin a few years ago and it has become the perfect catch-all for all things left in the washing machine...safety pins, coins, buttons, dollars. i'm going to use the cash one day to buy myself a present. 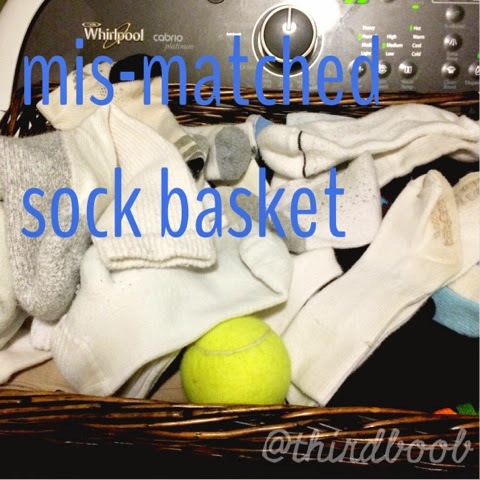 6. mismatched sock basket: an old rudolph-the-red-nosed-raindeer movie talked about the island of misfit toys where lost and unwanted toys go to live. this basket is my island of misfit socks. it is where they go to die. every once in a while i will magically find a match. many times, however, the basket remains fairly full. on the rare (miraculous even) occasions when i have managed to wash every item of clothing in the house, i will throw away those socks that have not found a match. otherwise they sit in there and have their other mis-matched friends for company. at least i know where to find them. 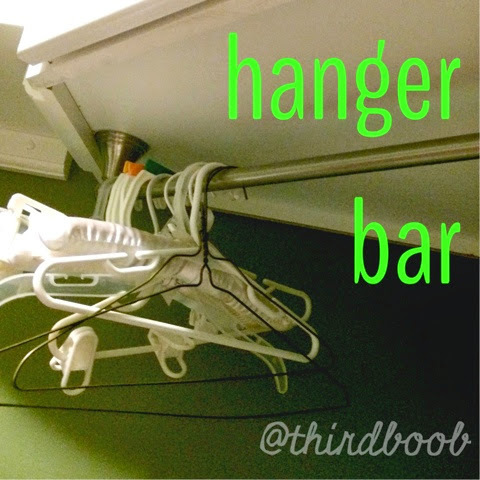 7. hanger bar: i was searching for a place to keep hangers in my laundry room and didn't like any of the options i found. 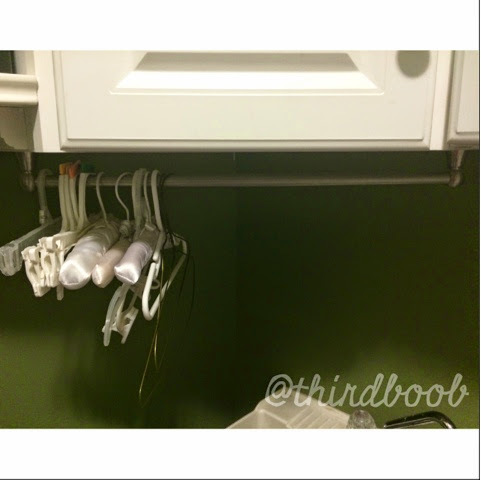 my dad suggested using a towel bar upside-down underneath my laundry room cabinets as a place to store hangers. it was genius. they are out of the way but are there when i have something important to hang. 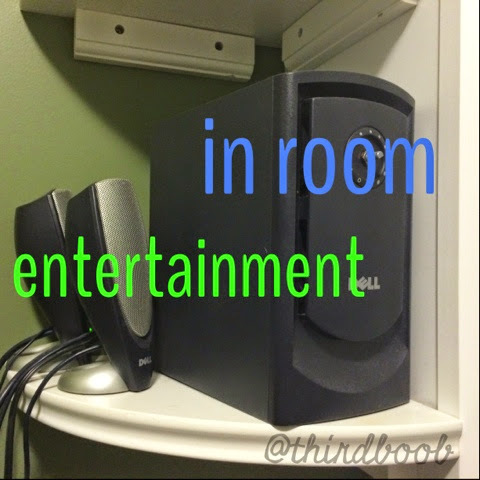 8. in-room entertainment: i know. this looks particularly trashy. still, it does the trick. i was spending so much time in my laundry room that i started to pull out my iPhone to watch netflix and hulu while i worked. it was fantastic but i couldn't hear the sound of the phone over the rumble of the washer and dryer. an old set of computer speakers worked perfectly to amplify the sound so i can watch and fold to my heart's content. my next dream is to purchase a t.v. for my laundry room so i can happily watch shows on a larger screen. for now, this will have to do. if you have the room for it, add something to your laundry room to make it a more enjoyable experience. you deserve to have some happiness in the midst of the chores.